Take your skin from dull and tired, to bright, even, and radiant. The original "lunchtime" procedure, this treatment has no discomfort, no downtime, and maximum effectiveness. The epidermis, the outermost layer of the skin, is composed of dead cells in the process of being sloughed off. This is the layer that absorbs light rays and robs the skin of its youthful luster. As this dead cell layer increases, skin products cannot properly be absorbed and the skin is not allowed to breath. As we age, this layer of dead cells becomes thicker and more pronounced. One of the most popular and effective methods of removing that dead skin layer is by microdermabrasion. 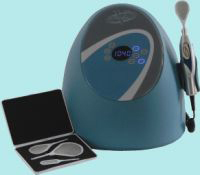 Vibraderm™ uses “sonic vibration technology”, a state-of-the-art technology that is very popular across North America. Vibraderm™ is a very effective way to smooth your skin. Unlike conventional microderms, Vibraderm™ does not suction the skin, or leave a crystal or particulate residue, which can sometimes irritate or worsen some skin conditions. Large areas of skin can be treated evenly with less irritation. The face and neck remain the most popular areas. Clients have also had their backs, arms, hands, knees, legs, and thighs treated. Nearly any part of the body can be treated. Rather than using particulates, which are common to other treatments, Vibraderm™ uses a patented, vibrating 30mm by 30mm paddle capable of covering the face, neck and décolleté in only ten minutes. The Vibraderm™ paddle is made of surgical grade stainless steel, and has a large surface coated with fixed abrasives. In clinical studies, 95% of clients preferred Vibraderm™ to regular dermabrasion treatments, citing no discomfort whatsoever, minimal downtime and firmer skin tone. The treatment feels like a gentle vibration on the skin. There is no suction involved, so there is no pain and no formation of unwanted and unsightly blood vessels. Clients inevitably comment on how silky smooth and fresh their skin appears after this treatment. After removing the dead skin, a paddle is used to infuse medical-grade skin products, including a vitamin cream and an effective, medical-grade sunscreen. There is no downtime with microdermabrasion. You are able to resume normal activities immediately. If you want further information, make an appointment for a free consultation to discuss the Vibraderm™ microdermabrasion procedure with Dr. Surani. Although one treatment yields excellent results, microdermabrasion works more effectively when performed as a series of four to six treatments administered a week or two apart. 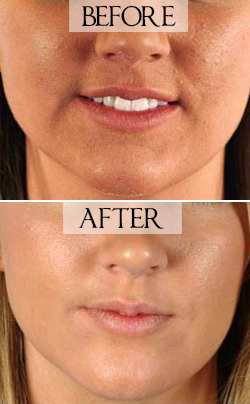 We also combine microdermabrasion with many of our laser treatments for optimal results. Exceptional results are achieved by combining microdermabrasion with Laser Genesis treatments. This allows the benefits of exfoliation by microdermabrasion to be combined with the healing effects of laser light therapy.